BORN2READ is presented as an engaging alternative to commercial products currently available in the market place. The BORN2READ Experience, provides children with rich, authentic meaningful contexts which are essential in Early Years. The high frequency words are not the entirety of the BORN2READ Experience. Rather, they were used as a tool to provide structure to ensure that explicit and ordered teaching of reading, could occur. The words listed inside the cover of each reader are not the only high frequency words that are contained in that text, but are the focus words for that text. As such, you will discover other high frequency words within all the readers in the BORN2READ Collections. BORN2READ is proud to present a reading collection that includes rich vocabulary. It is not the intention that children can read such words in isolation (for example definitely, serious, behaviour), rather they use the context of their reading to decode such words. When children make meaning from texts and can relate to and explore the concepts of the texts, they are truly engaging in the process of reading. Reading is about comprehension and engagement. BORN2READ is an explicit teaching tool to get young children reading. It provides a structure for teachers new to teaching reading or new to the year level. 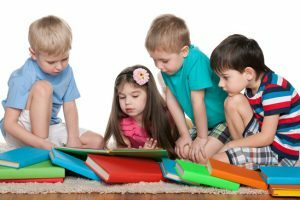 It is recommended that BORN2READ is implemented for approximately 60 minutes per day in the classroom. It provides the cornerstone of the teaching of reading in the younger years. From this base, teachers introduce the works of other authors, in other genres to ensure children are getting the full range of literary experiences. This is also essential and highly recommended. The works of Mem Fox, Nick Bland, Craig Smith, Maurice Sendak, and Mo Willems, just to name a few, are a must for young children! BORN2READ also has a strong background in curriculum and is aligned to the current Australian Curriculum. Through our affiliated business, KC Curriculum, there is a very direct, and deliberate correlation to the current curriculum documents. Our curriculum programs have been submitted to government bodies including QSA and currently ACARA. Curriculum programs written have included Practical Outcomes, Everything English, Everything English in Australian Schools. All such documents were approved by the governing bodies, and were taken up by over 500 Queensland schools. Schools wishing to implement BORN2READ in their classrooms can do so through a yearly subscription. Professional development is also readily available for teachers and/or curriculum coordinators. For more information, please see our Professional Development tab.